I just finished watching this drama like 2 minutes ago. A lot of people didn't like the ending, but I did. I couldn't think of other ways to end it. This drama, I really enjoyed it because it's not only revenge, but you learn about other things along the way. Well you will need to watch it to know what I mean. This was a good drama in my opinion and I would watch it again, but not a for a while because then if I watch it a right away it will lose it meaning. So maybe in a few years or so. There were some part that was draggy, but overall it was a good drama. But I wish they would focus more on the other characters other than Hae Woo and Yi Soo. This drama was kinda similar to Bad guy, but in the end it was a lot different. I enjoyed the soundtrack. I have to admit after watching this drama I as curious about the Legend of Orpheus, so I am going to read it about it. Well at least I learned something from this drama is that Revenge is not a way to solve a problem. Shark is a dark drama about man who "comes" back from the dead on a mission of vengeance. I wish the writer would have spent more time developing and strengthening other characters rather than focusing on Yi Soo and Hae Woo. I understand they are the lead characters, but a few moments I felt the others were mere props in the drama, not supporting characters. My other wish was that they change the title to Legend of Orpheus. Legend of Orpheus is a better fitted title than Shark. Before you spend twenty episodes watching this great drama, I recommend you read about the story of Orpheus. The Greek mythology is not a summary of Shark, but it gave me a good idea of why the writer choose to add the myth to the drama. Orpheus was a poet, prophet, and musician who can make rocks and trees dance when he play his lyre. Yi Soo made people dance to his "tune of music" by manipulating them. After their lost, Yi Soo and Orpheus did not seek the love and affection of no woman. One story said he seek the affection of younger boys. In the drama, Dong Soo implied twice that Yi Soo was gay. (Perhaps he was bisexual). Yi Soo had many opportunities to rekindle the flame, but quench it. The official soundtrack was great. The song, Between Heaven and Hell by Boa, painted a picture about the love between Yi Soo and Hae Woo. Shark, the Legend of Orpheus, is not for everyone. Some people would be disappointed at the ending. But I am one of those people who enjoyed watching this revenge drama. I will see it again. Kim Nam Gil’s comeback drama should’ve been much better than this. The presumption of revenge was something attractive and I can say that it was executed quite well in this drama; without doubt this is not the best revenge drama out there but it’s definitely watchable for the revenge theme. The story starts off slow; the first episodes felt like fillers without many events going on, then things started picking up little by little, the plot started building up and the premise began to show up. However, this is not so different from the usual melodramas out there since elements like the scarred past; the troubled family, the typical evil guy as well as the teary female lead were present. What was added here was the little mystery, suspense and some thriller moments that flipped the tables occasionally and created few great twists every now and then which I have to give writers credit for making them happen but still; there weren’t any amazing turns of events that would make you jump of your seat considering the fact that most of them were pretty much predictable. Do not watch this because of romance; the whole concept wasn’t catching at all even the little moments between the leads were sometimes overdone and not well matched with the story’s development. I believe romance was one of the storyline’s weak points. Another storyline’s weak point: The ending since it was very strange; let’s stop there. It took me a while to figure out what the writers were thinking and then I concluded that they weren’t thinking at all. The acting was good; Kim Nam Gil proves once again that he’s very suited for revenge dramas, Son Ye Jin had a nice performance too but I can’t say the same about her character. The rest of the cast were good too; nothing to complain about, only that their characters weren’t captivating enough probably because Yi Soo was always in the spotlight and no one managed to take it away from him. All in all, this drama had potential to be much better than this. Nonetheless, it’s still very recommendable for revenge dramas lovers but make sure to lower your expectations, expect the unexpected and never forget that you’re about to watch a MELODRAMA. Dark and richly encrusted with elegant symbolism, Shark manages to be poetic as well as thrilling. The intensity of the lead and the constantly unraveling mysteries will keep the viewer moving desperately through the story -- much like the titular animal does to survive. That being said, certain issues keep this drama from being perfect. It's still worth a gander though; double that if you like dark revenge stories or are just a fan of Kim Nam Gil. A major selling point of Shark rests in its surprisingly solid plot. The writers seem to have taken delight in the meticulous set up of their mysteries and, for the most part, executed them perfectly. Something I found unique was the way human ugliness and desperation colored the events. Many characters committed terrible acts and possessed deplorable qualities; innocent people suffered and became cornered by forces they couldn't control. It felt honest and multifaceted, a fantasy painted in the realistic gray tones of the world. Unfortunately, despite obvious care worked into the script, I felt disconnected from most of the characters until late. They often felt like mere pawns shuffled along the winding path of Yi Soo’s revenge. By the time one truly becomes invested, few episodes remain. This might be why people are conflicted about the ending, though it worked for me in any case. Unsurprisingly Kim Nam Gil owns the stage as the vengeful Yi Soo. Not only is this his first drama appearance in years, he's still wildly talented and believable. Even when his character merely played puppet master from the shadows, Kim Nam Gil found a way to infuse him with humanity. His performance is equal doses pitiable and menacing, good and bad, black and white. Without him, Shark sinks. 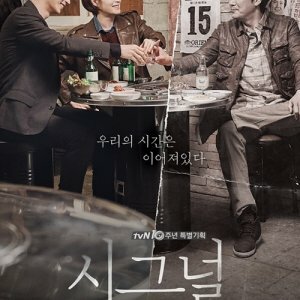 Ha Suk Jin (Joon Young) and Park Won Sang (Detective Byeon) play the most consistently sympathetic individuals in the series. They also feel the most like the “good guys,” in a story where you can never know who to trust. My first extended experience with Son Ye Jin was lackluster; I believe it may be the fault of the writers, since the young Hae Woo resounds more than her dithering adult counterpart. She felt most like a straw man whose purpose was to lead us through Yi Soo's machinations. I did like Honey Lee in her turn as Secretary Jang. Her interactions with the character of Dong Soo were surprising but much needed comedic gold. There's absolutely nothing to complain about regarding Shark's musical repertoire. Instrumental tracks play their part without becoming heavy handed. Two vocals stand out: Boa's haunting ballad "Between Heaven and Hell,” and the soulful offering “Sad Story” of Boohwal's Jung Dong Ha. Who goes to heaven? The one who doesn't repent? Or the one who does? I have been keeping this drama for the right time because I’m a revenge-themed drama LOVER and I have practically seen everything Korea has to offer in that category. Moreover, I especially have seen everything I want to watch for Kim Nam Gil… so I kept this one mainly because it doesn’t seem that he will be back to dramaland anytime soon. However my craving could no longer be suppressed anymore not after I realized that it is written by the same writer of The Devil, Memory and Resurrection. Shark is not just a simple “revenge drama” with an obvious/repetitive plot, although I can’t say the plot is original but what strikes me here the most is the allegories that the story has offered in form of shark and Chagall’s painting “Orpheus”. The shark fish symbolizes that life must goes one as shark has to keep moving in order to live. The “Orpheus” painting features in some scene to remind us that this is a story between man and woman that cannot be together. The painting depicting the sad myth of Orpheus where he travels to the underworld to save his wife, only to lose her in the end because he looks back before they’ve both reached the upper world. An alternate title for this drama is actually "Don’t Look Back: the Legend of Orpheus". Shark is beautifully written and photographed, and it unfolds like a good book rather than just a television show. It has the depth of a Greek tragedy (references the story of Orpheus). The story takes its time to establish the back-story of its hero and heroine, teenagers sincerely in love who are torn apart by a cruel turn of events that establish the revenge motivation. The plot reveals its layers like a good mystery novel, and has many eloquent scenes, the most powerful of which often feature no dialogue at all! This is what I call the perfect revenge drama, where there are so many victims, and yet the overall message is not really one of despair, but rather that love will triumph over revenge any day. It is the kind of revenge drama that haunts you with its inevitable tragedy. The origin of the revenge plot takes its time to reveal itself in exquisitely well written details. We get to know and care about major characters in their youth, and then follow them with interest into their adulthood. Shark had me hooked within its first few seconds, which reveal a teenage boy speaking directly into the camera, answering questions from an unseen young girl. That conversation replays over and over in Shark, and its poignancy becomes more and more touching when you see everything that happens. The cinematography was lustrous and breathtaking on Shark, beyond beautiful! Many of the images were like classic paintings! I would freeze the images just to STARE at them in amazement! Images of beaches, lakes, woods, nighttime and daytime skies, gardens, picturesque streets and buildings, not to mention startling human facial close-ups on occasion, were all unforgettable. This is not a romantic drama and certainly not a drama you’d watch for the romance. I’m very happy that the romance element was kept at its minimal and that it did not distract the core story. However it is fair to mention that the tension between Yi Soo and Hae Woo was indeed a bonus to the revenge line. It was astonishing well crafted and well acted. The tension between them was amplified by the fact that she is representing the law, and he is determined to be a criminal. It made the story all the more intense than it already is and looking back at all the revenge-themed dramas that I have watched I must say it is very rare that the level of intensity and romance is kept as subtle as it is in the case with Shark. Suffice it to say that every character in Shark is carefully drawn to reveal genuine human beings with their own emotions and agenda. However KNG’s Yi Soo/ Kim Joon is the heartthrob of Shark! You will be entirely captivated by the dark-eyed grace, gentleness and menace of Nam Gil in this complex role (even though he does bad things, my heart broke for him). His facial expression switch from cruel cold revenge seeking man, to a broken lonely soul who is inside desperately calling to be saved. When it comes to acting through facial expressions and even without many dialogues it’s always KNG who leaves me breathless. Yi-soo’s revenge is a well thought out and carefully executed. His desire to seek revenge is perfectly understandable, yet because it is so easy to feel for his character’s plight, it is difficult to watch him move further and further into the dark side. Son Ye Jin: Her portrayal of a compassionate, righteous prosecutor and a true friend/lover was very much convincing. Hae Woo serves as the moral conscience of the drama. I can’t say that I love her character and I can see why most didn’t but I understand her character giving the circumstances and tests she is put through the entire time. The soundtrack was lovely and haunting, just perfect for this poignant story of two people caught up in a web of intrigue, murder, and revenge. When the drama had aired in 2013 I was already in love with BoA’s "Between Heaven And Hell" before I even get to watch the drama! It caught my ears and heart when my friend sang it and I couldn’t help but fall in love so imagine how I felt while finally watching it through the eyes of the story. Shark is about revenge, about how there are consequences and reactions for every action, it’s about love but it’s not a love story, and it’s about finding those truths and then facing them. Shark is very good at being this well-oiled machine. It’s thought out and there is a strategy and enough metaphors (sharks! Orpheus!) to make it interesting. It has twists and turns that don’t feel forced and very little slip ups even though there are more characters in this than one would have thought. The ending may not be the best way to wrap up things but it certainly isn’t the worst way, I embraced the ending here (with its flaws) and appreciated it much more than some of the many other revenge-themed dramas that I’ve seen. If you are a revenge-themed drama fan or a melodrama fan don’t let this one slip away from you! In the end we might like some "gems" that other people may have considered "waste", you never know. 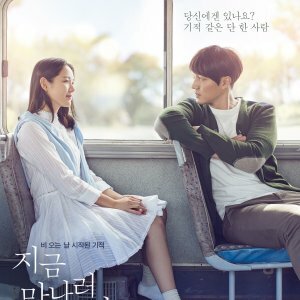 Kim Nam Gil has once said, “I experienced a slump when KBS2’s ‘Shark’ didn’t receive a lot of love.” I would like to tell him that just as there are people who didn’t appreciate Shark there are those who did and even watching it in 2017 this is such a wonderful revenge drama, so thank you for making it happen and thank you for being part of it. It is so sad to me that this was Kim Nam Gil's comeback drama. For a revenge story it is pretty typical, but not well executed. It has the childhood love, evil family, murder, attempted murder and revelations that come with a good revenge story, but the way they tell the story is just boring and somehow off. For one thing how many pictures, usbs, and assassins can there be in one drama? Ridiculous. Another thing is that all Kim Nam Gil's character did for half the drama is stare at something...the sky, the fish tank, into space. Ridiculous. Then there is the cinematography which is just dark. I get the drama is dark and I don't think it should have been in pastels, but I have seen dark dramas where they actually let the actors be dark in their characters rather than using the lighting to portray it. Somehow I don't think the director trusted the actors or maybe he didn't trust the story. Ridiculous. I also felt the ending was rushed...they could have made some of the revelations earlier in the story and given the ending more...who am I kidding...the whole drama had problems so I guess I shouldn't have expected more from the ending. Kim Nam Gil was as good as ever in his portrayal of Yi Soo, but they didn't give him much to work with. He portrayed his character's split personality due to his trauma very well. There are scenes where he gets to show case his acting ability, but they are few. Also he does well with his grown up romance with Hae Woo. Son Ye Jin was good playing the conflicted Hae Woo. Under different circumstances, I might have felt sorry for her character. I did feel sorry for Ha Suk Jin's character Joon Yung, who the writers didn't even give much resolution to at the end. Poor guy!!! Honestly, the only characters that I was fully invested in were the Detective, his wife and Yi Hyun. They were a breath of fresh air. Nam Bo Ra is really coming into her own as an actress and I see her gaining lead rolls in the future. The other actors were good as well including Lee Soo Hyuk. Although again the writers could have developed Soo Hyun a little more. Really it wasn't the acting that was bad, it is the writing. The music was ok...nothing stands out. I will NEVER rewatch this. At last I managed to finish Shark by marathon the last 10 episodes in one night. Now I can cross out Shark from my currently watching list :)and off to see a new drama! I give rewatch value 5 bcoz I don't usually rewatch the drama that I've watched. I am so overwhelmed by this drama that my review probably won't do justice to this masterpiece. But I'll try anyway because it seems that many people rated this drama only according to its end. Believe me when I say that this is one of those dramas that is completely underrated. The story is a common plot among all those revenge dramas out there. Han Yi Soo takes on a new identity after his father was murdered. After years he comes back to Korea with a fully prepared plan in his mind. In order to get the one responsible for his past misery he is determined to use that one's granddaughter Jo Hae Woo, his past first love from his teenage days. What makes this drama so perfect in my eyes is that every detail harmonizes with the other entirely. The story, the twists, the actors, the music, the cinematography. Although the basic plot is not an unusual one, it still keeps you chained to your seat. The way the scenes are merging and continuing so smoothly makes you more curious with each passing minute. But the story itself wouldn't work without those remarkable actors who put so much life in their characters. At this point the first ones who are to be mentioned are Yun Joon Suk and Kyung Soo Jin who portrayed the young versions of both leads. Without them it would have only been half a joy watching this drama. Their chemistry was overwhelming and laid a great foundation for their adult co-actors (Kim Nam Gil & Son Ye Jin) who did an equally amazing job in showing that deep special bond their characters shared from the first minute they'd met. All those moments/scenes where they were together was in a striking contrast to the rest of the story and kinda felt like floating in the air. Their encounters always left a deep impression on me. What strikes me most is Kim Nam Gil. I've never seen anything with him before, therefore I had no idea what I was getting myself into. But after watching this drama I'm completely convinced by his talent. Not many actors are capable of showing sparse facial expressions and still manage to deliver everything the viewer needs to feel the character's pain, suffering, inner turmoil and determination, or whatever he's feeling. The most beautiful part of Shark (next to those wonderful tragically romantic moments of the leads) is its unique, outstanding OST. All those well placed songs just complemented this already brilliant drama. Believe me if you've ever contemplated to watch this, don't hesitate any longer. Just start it. Like I mentioned at the beginning many people were not satisfied or disappointed with the end. In my opinion it was the most fitting finish I've ever seen in a k-drama. If you pay enough attention right from the first moment, you would see it coming. Throughout the whole story are so many small details that point towards it - like a red thread. You'll see that any other ending wouldn't cope with the rest of the story as well as the actual one did. Not at all. I for one have fallen in love with this gem. I hope you guys will enjoy this ride as well. La historia comienza contándonos el por qué, por qué nuestro protagonista siente tanto odio y ganas de venganza y a la vez podemos ver cómo nace el amor entre los dos desde que son jóvenes y las grandes diferencias que los separan como su estatus social y riqueza. Como siempre la tragedia sacude sus vidas, y pronto llega la separación que dura años y años, hasta que Yi Soo, al que todos dan por muerto, regresa a sus vidas para hacerles pagar todo el daño que le han hecho, y por supuesto se reencuentra con el amor de su vida Hae Woo, que ahora está casada con otro hombre. La trama como bien describe wikidrama, está muy centrada en la venganza de Yi Soo contra todo aquel que le hizo daño a él y a su familia, y a la investigación por parte de la protagonista que ahora es toda una fiscal que investiga los misterios de la muerte de su amado Yi Soo sin saber que lo tiene al lado y que en realidad está vivo. Resumiendo; trama de venganza 100 por cien mezclado con trama policiaca y misterio. Pero también hay espacio para el romance, que a mí es lo que más me ha gustado de la historia (como fan incondicional del romance que soy! jaja) me ha parecido una historia preciosa la de ellos, con unas escenas geniales y llenas de sentimiento. Al final de la trama te hace preguntarte...¿Hasta donde te puede llevar la venganza? Vale que muchas veces todos sentimos que necesitamos vengarnos de alguien, pero igualmente el pasado no regresa y lo hecho, hecho está. Quizá todo salga peor y sea mejor quedarnos quietecitos. Los personajes están muy bien desarrollados, muy bien actuados por parte de todo el elenco. Es otro plus para el drama. Al igual que su escenografía que es maravillosa también. Y oye, su OST es simplemente perfecta, junto con la parte romántica es lo que más me ha gustado del drama.. The plot is baseless and stretched way too much . It's all a goof . First 10 episodes are meaningless . I have never been this disappointed in a revenge drama , but from the start it was flawed . Idiotic killings , Identity swap , bad female lead who's always crying , a villain whom you're telling all your plans . --_-- Ugh Utterly Disappointing . Now this is my 2nd Kim Nam gil revenge drama . If you wanna know how good a revenge drama can be watch ' Bad Guy' also by Kim nam gil . This is how you do it . All things planned without any flaw . But remember that the consequence of a revenge is always bad .